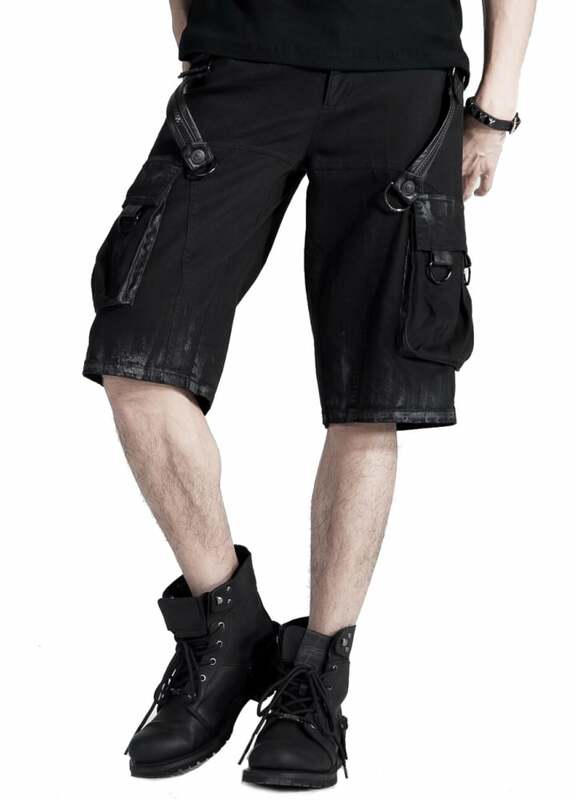 Punk Rave's Cerburus Shorts are an awesome pair of gothic cargo shorts. These knee length shorts are made from intentionally aged fabric with grey paint for an extra vintage feel. The alternative shorts have a zip fly, side cargo pockets, faux leather straps, zip and D-ring detail.